A 3-ply leather guitar strap that's monogrammed with Fender's silhouetted Strat® headstock logo. Fender® monogrammed guitar straps feature Fender's most-popular design (a silhouetted Strat® headstock) tooled right into high-quality, 3-ply leather. They're fully adjustable with a truly broken-in feel and are built to withstand years of playing. 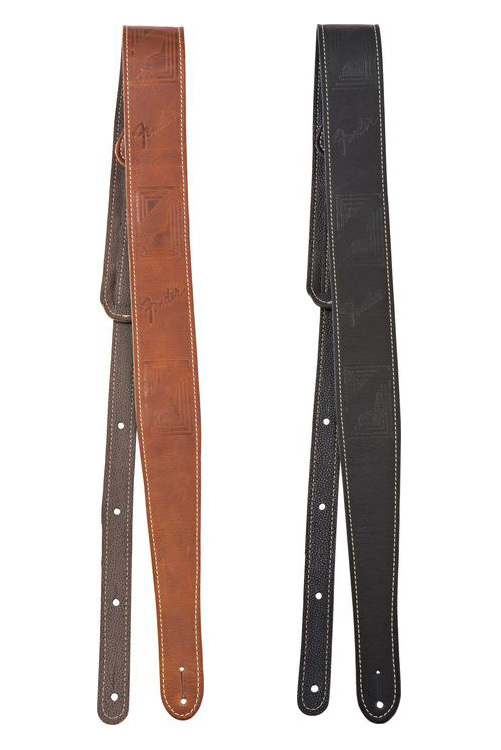 Possibly one of the coolest leather guitar strap designs in the history of rock 'n' roll. Your choice of either brown or black.